Despite under performing most of 2015, gold is now staging a comeback. What has been the catalyst, and what does it mean for the future? This week, Your News to Know rounds up the most important news stories regarding finance and the gold market. Stories include: Gold erases 2015 losses while staging comeback, why gold’s latest reversal could be what the bulls have been waiting for, and the euro’s recovery puts gold on the rise. After a fairly lackluster 2015, gold is finally staging a comeback towards the end of the year. Evidence that economies from around the world are “slackening” – as Bloomberg’s Luzi-Ann Javier and Joe Deaux put it – caused the yellow metal to reach its three-month peak last week. Other factors like stagnating U.S. inflation and retail sales also played their part, but none were as important as the Fed’s decision to further stave off a raise in interest rates. Gold has been climbing ever since the Fed announced a rates hike delay on September 17, citing international risks that could dent domestic growth and depress inflation. Last Wednesday, prices closed above the 200-day moving average for the first time since May. By Thursday, gold reached $1,191 an ounce, overturning the losses from the end of 2014 and reaching its highest level since June 22. Meanwhile, according to fed funds future data, the chances that the Fed will increase interest rates in 2015 fell to 30%, as the Bloomberg Dollar Spot Index declined to its lowest level since June. Will gold’s latest price reversal be what the bulls have been waiting for? With gold surging in price last week, Forbes contributor Frank Holmes believes this might be the price reversal gold bulls have been waiting for. Holmes finds it no coincidence that gold’s breakout happened in the wake of a weakened U.S. dollar. The greenback’s 50-day moving average recently crossed below the 200-day. This occurrence, ominously named the ‘death cross’, is widely recognized as the start of a bearish trend and has not happened since September 2013. A downwards trend like this could finally let gold reach its $1,200 resistance level, Holmes believes. He also invokes his August report of legendary hedge fund manager Stanley Druckenmiller investing $323 million of his own money into the metal. While the move puzzled many, it is now evident that Druckenmiller knew what he was doing. Making things look even better for gold, India’s festival season has officially begun and the Chinese New Year approaches. 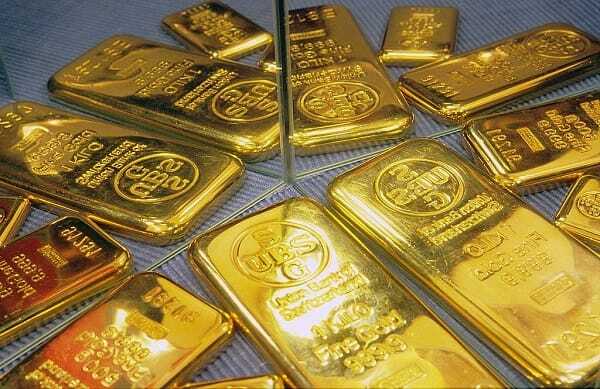 These events – filed by Holmes under ‘Love Trade’ – always have a big positive impact on gold demand. Perhaps the biggest indicator regarding gold’s strength, however, came in the form of an exchange Holmes had with Barry Bannister, chief equity strategist for investment firm Stifel. Current real interest rates sit at 2%, which already has a negative impact on gold. But Bannister argued that economic recovery and time raised real interest rates even higher than we realize, making the case that an “invisible” rate hike of 4% is already in effect. Remarkably enough, gold’s rally last week happened in spite of this. Solid lending data recently helped the euro rebound against the dollar ahead of an important European Central Bank (ECB) meeting, in turn allowing gold prices to firm. The meeting, scheduled for this week, is meant to clarify the ECB outlook on monetary policy. Reuters’ Jan Harvey reports that the dollar fell 0.5% against the euro last Tuesday, after data showed eurozone banks loosened their lending standards even more than expected. The euro was lifted further after ECB Governing Council member Christian Noyer commented last Monday that the bank’s Quantitative Easing (QE) program needed no adjustment. Monday also showed signs that investor appetite for gold was building, as the world’s largest gold-backed electronically traded fund (ETF) reported a 3.6 ton rise in its holdings. In terms of bullion, the Swiss customs bureau reported that Switzerland’s combined exports to China and Hong Kong reached their highest in more than a year and half. While spot gold was up by 0.4% last Tuesday, ING analyst Hamza Khan said that a sustained gold rally would be “difficult” without knowing the details of the Fed’s rates hike in 2016, agreeing that a 2015 hike has been “written off”.